RAID – In Raid, you’ll have to fight your way into your opponents’ base and steal a package, then deliver it back to your base to score points. Reach the target score, or deliver more packages than your opponents do in the allotted time to win the match. HOLD – When playing Hold, teams must collect and store as many packages as possible in their base. Packages can either be found on the map, or stolen from the opposing team’s bases. Reach the target score, or hold the most packages when the time runs out, to win. 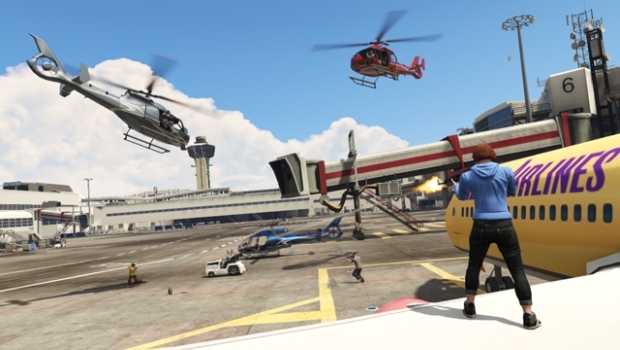 GTA – As the ubiquitous acronym might suggest, GTA mode tasks players with stealing target vehicles located all around the map, before bringing them back to their respective bases. Each team must fight to steal more vehicles in the allotted time than their opponents. CONTEND – In Contend, there’s only one package, situated in the middle of the map. Teams must fight to bring this package back to their respective bases, and once the package is captured it respawns in the middle of the map and is up for grabs again. The content update will also feature a bevy of bug fixes. Look for the Capture update tomorrow morning.